We are Designed Future. | A Transformational Organization. We all have the inalienable right to happiness. Designed Future seeks to lead the world away from mediocrity, pettiness, and hopelessness and into excellence, love, happiness, and human connectedness. We are creating a new context for life, in which all people might prosper, in which all poverty might disappear. Without a shred of doubt, we know what’s very possible in the world. A world where everyone thrives. We see human beings collaborating, not competing. There would be no brutality because we wouldn’t fight. There would be no hunger because we would take care of one another. Prejudice, oppression, poverty, and needless suffering would no longer subsist. These are the miracles we believe in. And it’s the platform for our existence as Designed Future. We offer dynamic programs that transform the quality of life for others. Our personal development programs are life success workshops that go far beyond life coaching. Julie Dankovich is the President and Executive Director of Designed Future. Her unique philosophy adopts new thought provoking approaches to personal and professional success founded in a variety of disciplines that include psychology, neuroscience, spirituality, and quantum mechanics. She is the author of A Course in Prosperity- The Bible for Masters of Prosperity. Julie has a Masters Degree in Education and is a former educator. She was a freelancer for The Chicago Tribune from 1996-2002 and Vice President/Senior Merchant Account Specialist at Fifth Third Processing Solutions/Vantiv from 2003-2014. No one conceives and implements strategic marketing plans better than Hernalee Walker. Hernalee helps us identify new marketing opportunities, initiate new product introductions and ensure our revenue growth. She’s the driving force behind the creative and strategic elements of our marketing initiatives including print and Web collateral development, lead generation, as well as customer segmentation/profiling and awareness strategies. She ensures our brand is impeccable. This no-nonsense New Yorker quickly became an indispensable part of our volunteer team. Yes, this marketing aficionado is a volunteer. What would we do without her? We hope we never know. Her efforts are selfless and immeasurable. They’re life-giving to Designed Future. Hernalee is hard-working. She’s modest. And her engagement with our organization is one of the biggest blessings we’ve had since our inception. Hernalee has spent countless hours creating and fine-tuning our strategy, so we can be even more impactful in reaching those we serve. Hernalee is the VP of Marketing at Keshot Co. in New York. She has an M.B.A. Business Administration and Management and a Bachelor of Business Administration (B.B.A.) degree in Marketing from Baruch College. Dr. Salameh is a highly respected physician and the Internal Medicine Department Chair for the IHA Hospital Medicine Service. He graduated from the University of Michigan Medical School and completed his Internal Medicine residency at St. Joseph Mercy Hospital in Ann Arbor. Dr. Salameh has been a member of St. Joe’s core faculty since 2001 and holds medical school faculty appointments with both Wayne State University and the University of Michigan Medical School. He’s one of the most intelligent human beings you’ll ever meet. He’s also one of the most generous. In his capacity as Chairman of the Board, Dr. Salameh has general supervision of all Designed Future business affairs. He gives direction and inertia to the formulation and achievement of our philosophy, mission, strategy, and goals. He consistently assures that we’re making timely progress toward the fulfillment of our strategic plan. Dr. Salameh maintains a steadfast commitment to our mission. This results in the proper allocation of time to provide the leadership, to help shepherd our organization, and to work with its members, executive leaders, and staff on an ongoing basis to ensure we help those who cannot help themselves. Dr. Salameh acts as our watchdog to ensure that the mission and philosophy of the organization are maintained. He helps safeguard the ideals that motivated and inspired us to launch Designed Future in the first place. Hans Steiner has a real knack for problem solving and logic. He has over 20 years of business development experience in both high and low technology industries, including food-service franchising, real estate investing, dot.com start-ups and renewable & thermal energy development. This well-rounded native of Michigan lived in Berlin, Germany for 3 years where he was involved in international finance acquisition for project-financed power plant developments in emerging economies. Hans received his Undergraduate degree from the University of Detroit; a certificate of study from the Berlin School of Economics & Law; and an MBA in International Business from L’École des Ponts Paris Tech in Paris, France. 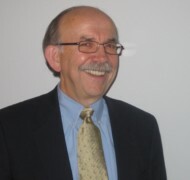 Hans currently serves as Business Development Director for a local mechanical engineering consulting firm. In his spare time, you’ll find Hans doting over his beautiful wife and their four adorable children. At six and half feet tall, Hans towers over the rest of us. And he plays just as hard as he works. An avid nature enthusiast, Hans leads a very fulfilling life, and nicely balances his thriving professional career with family, friends, travel, and paying it forward to those in serious need. Hans attended The Prosperity Program in 2012. Blake Dankovich is the CFO of Technology at Allstate Insurance Company in Northbrook, IL. He’s ambitious, focused, thoughtful, a gifted athlete, and a real tender-heart, always on the look-out to help those in need. He’s also a results driven finance leader with an impressive and diverse background in implementing successful organizational, financial, and technological improvements. The guy has a strong analytic and consulting mindset that easily identifies untapped opportunities. He’s also a snappy dresser. Blake worked internationally for Allstate at their Northern Ireland office in Belfast, United Kingdom, in addition to playing professional basketball for the Belfast Tropics. He earned both his BA and MBA from Eastern Illinois University. We lean on Blake a great deal. We can count on him, always. Each time we’ve requested his assistance with a project, Blake provides an unbelievable turn-around time that leaves us speechless. Blake is married to Lis. Together, they have an extremely energetic Boston Terrier named Taco. As Director of Fund Development on our Board of Directors, Bill Ryder doesn’t waste time getting down to brass tacks and making things happen quickly. With “big picture” vision and the drive to make that vision a reality, Bill is a seasoned account executive and sales manager specializing in business development, channel partnering, consultative sales, and client relations. Bill is an account executive with an interior design software company based in Grand Rapids, MI. Early on in his extensive career, Bill worked for Martin Marietta and was involved in thermal protection systems for NASA’s space shuttle program. Bill is adept at developing new business by creating strategic relationships and acting as a product evangelist to various sales channels, alliance partners, customers, and prospects. Bill earned a degree in Business Management from Northern Virginia Community College in Loudoun, Virginia. He’s lived in various places throughout the U.S., including Florida, Mississippi, Alabama, New Orleans, Northern VA, Texas, Michigan, and California. Though he currently resides in Grand Rapids, MI, Bill will always consider Malibu, CA home. 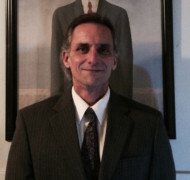 Mike Tamm graduated from Central Michigan University and did graduate work at Walsh College. He had a long career in accounting and college teaching before retiring in 2010. Mike was a shareholder in Echelbarger, Himebaugh, Tamm and Co. PC for over 30 years. EHTC is a public accounting and consulting firm. He also served as a member of the board of directors of different non-profit organizations during his career. Mike worked with a variety of companies in different industries, working closely with business owners in goal setting, strategic planning, organizational issues, succession planning, executive compensation planning, tax planning and he helped the owners with their personal financial plans. He assisted companies with tax planning, financial activities, acquisitions, mergers and sales. During the course of Mike’s career, he served as a mentor to clients, staff at EHTC and to the college students he taught. Mike has always enjoyed helping people. Since Mike retired or (graduated) from EHTC, he has been very active as a community volunteer. He was a SCORE mentor, in addition to being on the advisory board of RSVP. Currently Mike volunteers for AARP in a variety of positions. He also is a member of the board of Senior Leadership of Grand Rapids and is involved with Advocates for Senior Issues where he serves on the legislative committee and the program committee of the Advocates. Immediate and Radical Change | Master Your Mind. Master Your Life.